SEEDiA, a company manufacturing of solar benches, bus stops and information kiosks, has joined Orange Fab acceleration programme initiated by Orange Poland. The goal of this collaboration is to introduce smart solutions to European cities. Orange Fab is an acceleration programme for small and medium-sized enterprises. Orange focuses on developing advanced tech solutions with its partners on various fields, e.g. big data. SEEDiA has been working with the telco on new features, such as a meteorological module. Its products allow solar energy to be collected and utilised for charging phones, displaying timetables on e-paper or broadcasting WiFi signal. Last September, Zielona Góra (Poland) was supplied with solar benches thanks to a collaboration with Orange. SEEDiA Cloud is going to be integrated with Orange API, aggregating urban data from both providers, presenting a unified data set for smart cities. Collaboration with Orange within its acceleration programme is a strategic partnership for SEEDiA. Building smart cities requires unification and data management. These are the fields that Orange specialises in. – explains Piotr Hołubowicz, SEEDiA CEO. Orange has also decided to join SEEDiA in its sales efforts, delivering solar benches, bus stops and information kiosks to European cities. First results of the partnership are to come in July. Thanks to its participation in Orange Fab, SEEDiA has been invited to join Viva Technology, a prestigious tech event in Paris. It is a unique opportunity for the startups to meet and collaborate with market leaders. More than 70,000 participants, 6,000 startups, 1,400 investors and 1,500 journalists from over 100 countries are going to have an incredible opportunity to see SEEDiA products there. Orange Fab is an advanced acceleration programme for startups – small and medium-sized enterprises focused on technological advancement. Participation in the programme provides a chance to use global capacities of Orange, its wide range of clients, experts and multiple channels of distribution. The programme lasts for 12 weeks. 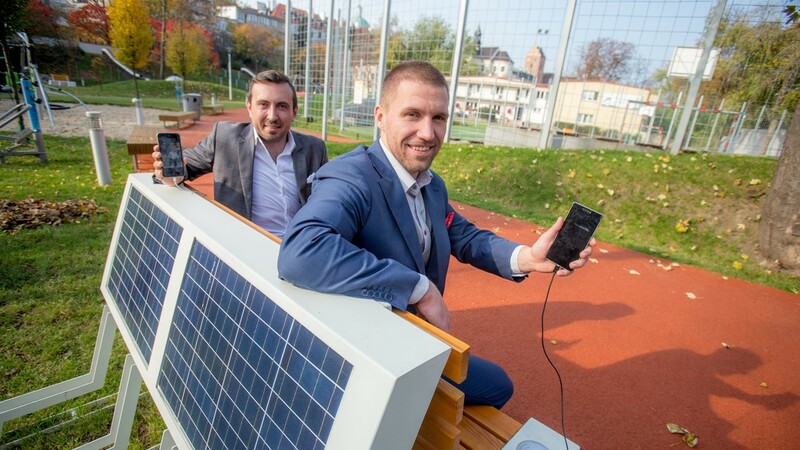 A Polish startup offering smart solar benches. SEEDiA’s mission is to create modern, innovative urban furniture for smart cities. There are 4 product lines in its offer: City, Urban, Future, Invention.